The Martin Beck books are widely acknowledged as some of the most influential detective novels ever written. Written by Swedish husband and wife team Maj Sjöwall and Per Wahlöö between 1965 and 1975, the 10-book series set a gold standard for all subsequent Scandinavian crime fiction. 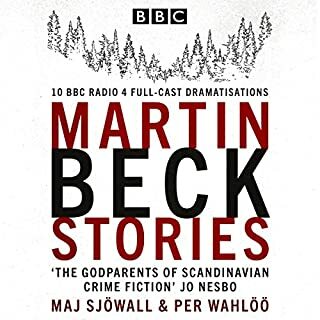 Long before Kurt Wallander or Harry Hole, Beck was the original flawed policeman, working with a motley collection of colleagues to uncover the cruelty and injustice lurking beneath the surface of Sweden's liberal society. The Emperor Domitian has informers everywhere; no-one is safe. He rules Rome with a rod of iron, and he is dangerously unstable and paranoid. In the snake pit of Imperial Rome, all Pliny the Younger wants to do is get his letters ready for publication. Except if he, his mother, their Greek cook Doris (who narrowly missed out on becoming the next Oracle at Delphi), and Venta, their slave with secretarial skills, have any chance of surveying, they are going to have to negotiate a political minefield, keep their eyes peeled for spies and, most of all, not do anything to annoy the Emperor. 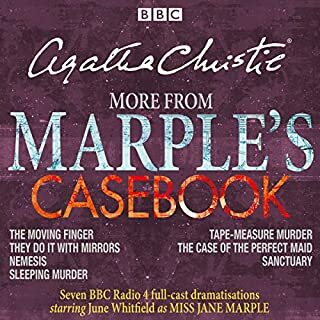 Nine BBC Radio full-cast dramatisations of the crime novels of Qiu Xiaolong, set in Shanghai. Starring Jamie Zubairi as Chief Inspector Chen Cao, an astute young policeman with twin passions for food and poetry. Through thrilling crime drama, these nine mysteries paint a portrait of modern life in communist China, depicting traditional Shanghai life amidst the old alleyways and how it is rapidly changing with modernisation. Death of a Red Heroine: Shanghai, May 1990. The body of a national model worker is found in Baili Canal. Academic turned detective Chen Cao now heads up the Special Case Squad, an assignment that brings political scrutiny with every move. A Loyal Character Dancer: When a former dancer and party loyalist at the heart of a people smuggling operation to the USA goes missing, Inspector Chen is under political pressure to find her, tactfully host a young female US Marshall, and find the connection with a grisly Triad murder. When Red Is Black: When Chen agrees to do a translation job for a property developer, he is given a laptop, a 'little secretary' to provide for his every need, and medical care for his mother. There are, it seems, no strings attached...and then the murder of a dissident writer is reported. A Case of Two Cities: When the head of the Shanghai anti-corruption squad is found dead in compromising circumstances, Inspector Chen is drafted in as 'Special Envoy to the Emperor with an Imperial Sword'. Red Mandarin Dress: A serial killer is loose on the streets of Shanghai, but Chen is otherwise engaged on a high-level corruption case. With bodies appearing at the rate of one a week, the homicide team is in desperate need of help. The Mao Case: It's a dangerous and politically sensitive case for Inspector Chen when he is asked to investigate the sudden change of fortune of the granddaughter of Chairman Mao's mistress. Don’t Cry, Tai Lake: Chen's lakeside holiday is interrupted by the violent death of the boss of the Wuxi Number One Chemical Company. 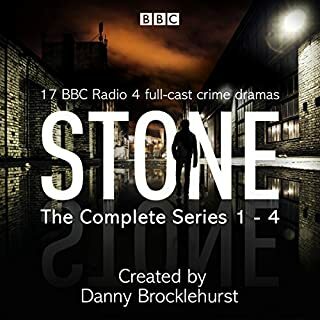 Will his blossoming relationship with a young environmental engineer compromise his covert investigation? Enigma of China: Inspector Chen is called in to oversee the investigation into the death of the Director of The Shanghai Development Committee while under house arrest. He has to negotiate the power of the Party, an internet campaign and a new potential romance. Shanghai Redempton: Inspector Chen finds himself 'promoted' sideways from the Shanghai Police Bureau, before narrowly escaping a nightclub trap and exposing a web of financial and sexual corruption. 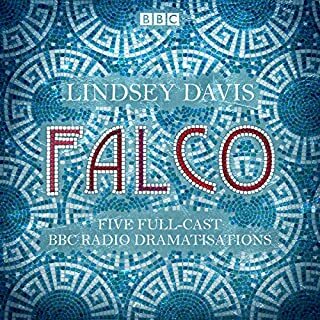 Dramatised by Joy Wilkinson and John Harvey. Directed by David Hunter and Toby Swift. 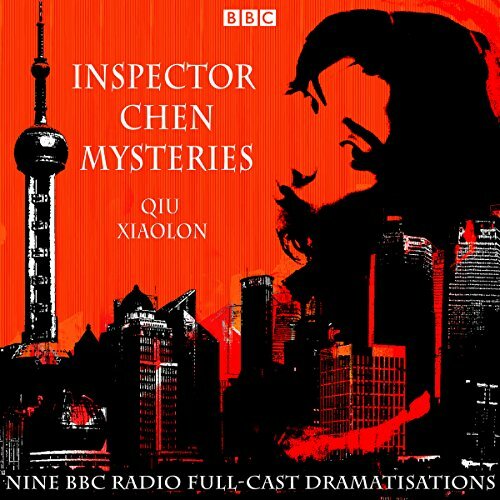 BBC full cast radio production of the Inspector Chen Mysteries, 9 mysteries to be exact, lived up to BBC radio standards & were a delightfully entertaining listen. Qiu Xiaolong's Inspector Chen Mystery book series was well interpreted for live radio & offers a unique rare glimpse of China's culture and local policing while following the standard English mystery book format. The Inspector Chen character reminds me of PD James Adam Dagliesh, only Inspector Chen's passion for poetry is constrained by Party Politics. 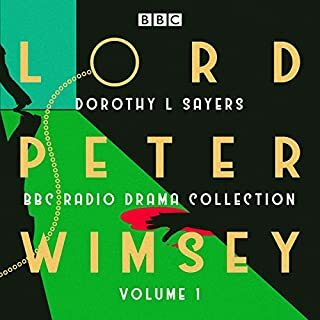 I highly recommend this audiobook for mystery lovers for BBC radio production fans and anyone looking for something unique. The poetry, as I understand, is published in a paper book. It is quite remarkable and adds to the ambiance. Small peeks into the communist party are informative, if not sad. I also enjoyed the mysteries. Highly recommend this as the narrator is marvelous. 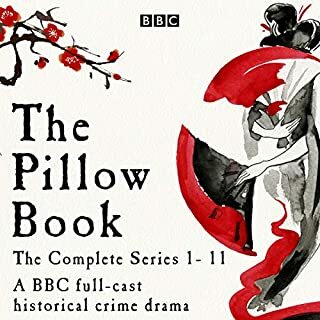 Outstanding BBC full cast adaptation of Qiu Xiaolong’s thoughtful detective novels. Chen is up there with Maigret, Marlow and Yashim. Thinking detectives who inhabit a superbly depicted landscape of venality and corruption. good listen, unique insight into a country on the move. sometimes the poetic nature of the stories seems a bit strained. Being vegetarian I found the bits mentioning awful animal cruelty revolting, sadly enough to put me off listening. It was otherwise excellent.